Good for you guys!! You certainly will make the most of your garden space. And how fun to have some one on one time, yea!! Thanks! We don’t much room left on the concrete after putting the greenhouse on it, that’s for sure! But worth it, and the whole thing can be unscrewed and stored flat against the building when we are done. One on one is so rare, we cherish it. I’m curious what the temperature is in your greenhouse with the cold weather? It’s awesome that you have seedlings already. Happy gardening! I haven’t taken the temperature out there, but it is warm. When the temperature dropped unexpectedly, and it started to snow, I had Rob drag a space heater in there, so it is warmer than the outside. It’s not hot by any means, but things are growing. 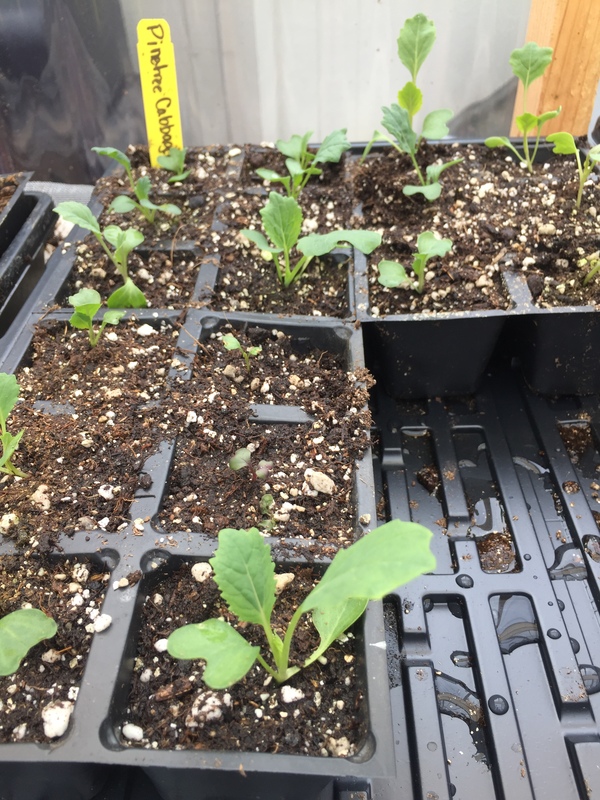 Of course, the things like cabbage and broccoli are growing the best, as they don’t mind cooler temps. In the past, we have done this as needed (use a space heater) and we shut it down as soon as we get some nice days, again. Another thing we have done in the past is fill milk jugs with water and keep them out there. 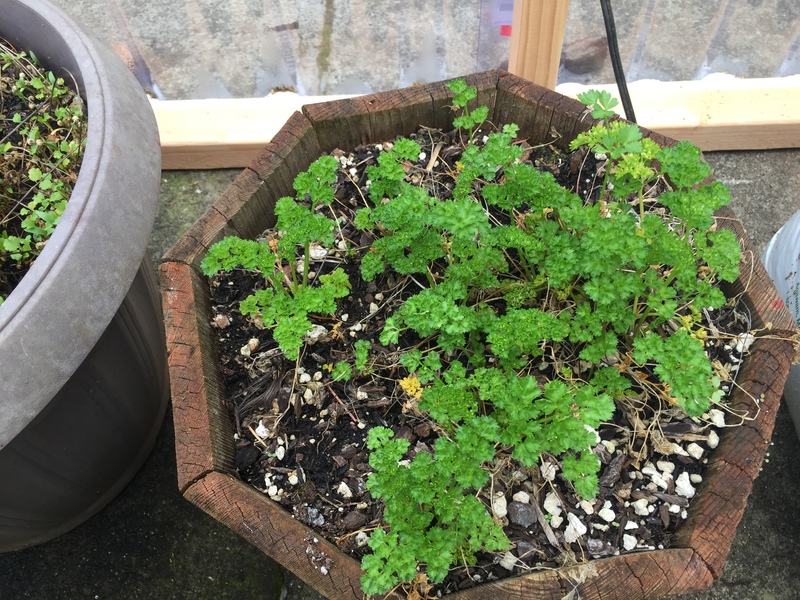 The water holds the heat, and helps things stay warmer at night, and are a little warmer to water the plants. We only have 2 so far this time, but plan to put more out there as we empty them. I think I have an idea on how to turn my back patio into a greenhouse for next year. It’s just a little concrete slab out the laundry room door–and I will have to share the space with the new riding mower that the Redneck has SWORN we are buying as soon as the taxes come in. But I am thinking I can make a nice little greenhouse out there. Thanks for the idea! This concrete area is very full with the camper and now the greenhouse, but it’s a good use of space for me. I’m glad you may get to have one. Everything looks so nice, hardy and healthy! Did you by any chance get the snow that hit Portland? I was just thinking about that and how the greenhouse would have definitely saved all those beautiful baby plants. We got an inch and a half, 2 separate times. Portland had it much worse. They never closed the schools down here in Salem. We are just enough south of Portland that we didn’t get as much as they did this time. I’m actually ok with that:). 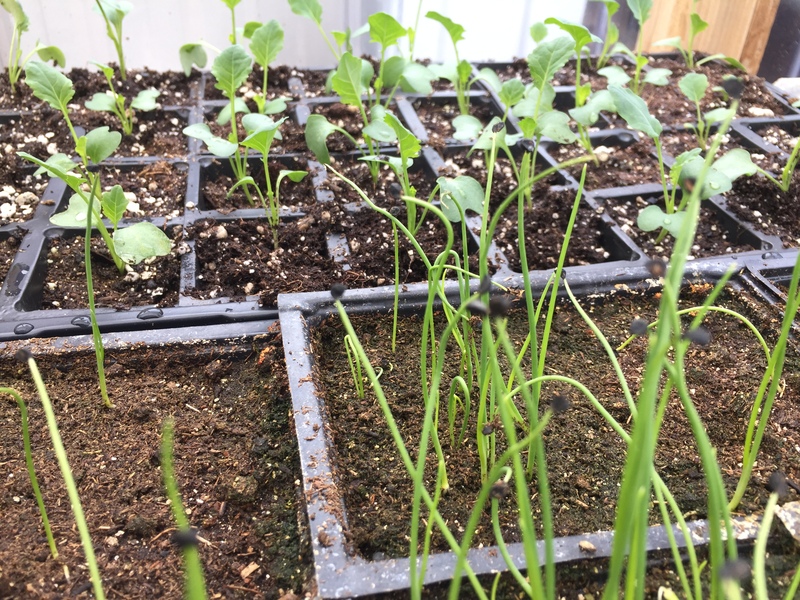 Seeing your seedlings have made my day! Winter has returned. Our few days of warm, sunshine was only a cruel tease. I got so excited only to have my hopes dashed to a million pieces. I know I am being dramatic. 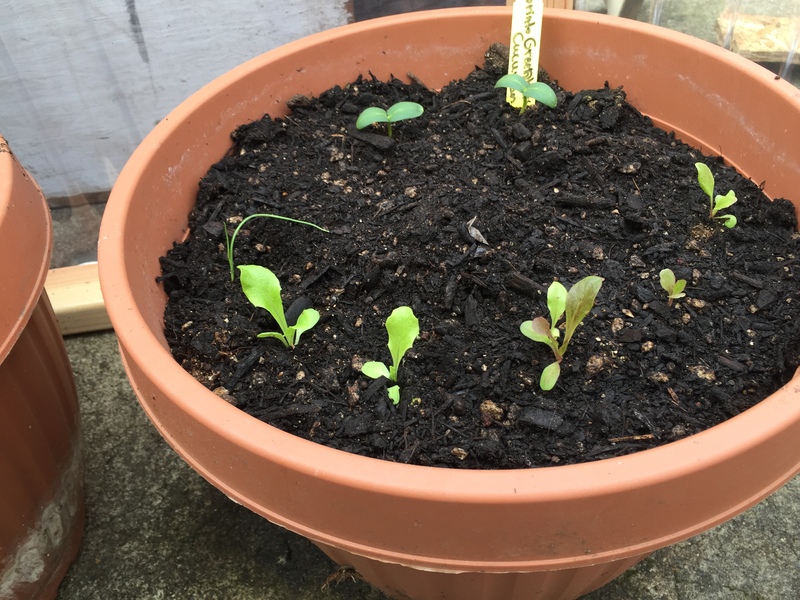 It’s so lovely to see the little seedlings coming up so nicely! I hope all your seedlings come along well and you have another wonderfully productive garden, this year.